Despite his stern and uncompromising exterior, everyone knew that, deep down, here was a judge, meticulously fair and ﬁrm, with a deep sense of justice and his responsibilities. This is the opinion of District Judge Sowaran Singh, then a Deputy Public Prosecutor, who had the privilege of appearing in court before the late Justice Choor Singh. Indeed, that example was apposite as multiple sources indicate how it was as a criminal judge that Choor seemed to ﬁnd his true vocation. However, one need not just take their word for it, his work speaks for itself. During the time when Choor was on the Bench as a judge, the Privy Council in England still had jurisdiction over appeals arising from the local Court of Criminal Appeal. 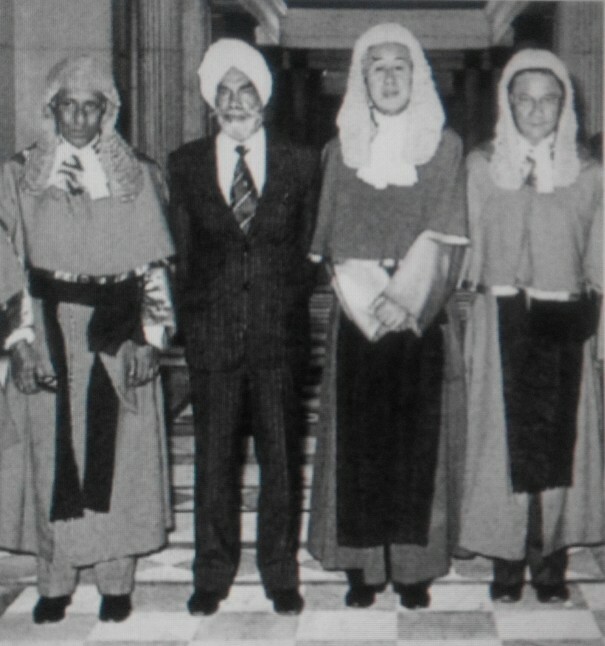 According to the former Chief Justice, one of Choor’s “proudest moments” was when, “as a civil judge,…the Privy Council restored his decision on a landlord and tenant case…which the Court of Appeal had reversed.” It must also then have been a point of pride for Choor that none of the ﬁve decisions written by him while he was a member of the Criminal Court of Appeal were overturned by the Privy Council when they were sent there to be appealed against. Notably as well, Mr T P B Menon of Wee Swee Teow & Co writes that, during his 17 years on the Supreme Court Bench, Choor wrote “countless judgments in criminal law cases…as a judge of ﬁrst instance.” Of these, a proliﬁc 105 judgments were reported. The quantity of Choor’s judgments, by no means, resulted in any want of quality in them. Former Chief Justice Chan noted how Choor’s “judgments pervade of common sense and practical wisdom.” Choor’s son, Dr Daljeet Singh Sidhu, attests that writing judgments was a task that his father took very seriously. In addition to ensuring that he wrote his orders in a timely fashion, Choor dedicated long hours to ensuring that his judgments were not only well-researched but weighing every word to make sure it was the right ﬁt. Daljeet recalls waking up in the morning during the years of his youth to see the evidence of his father’s judgment writing efforts – heaps of crumpled blue foolscap papers used by the courts in those days strewn all over the table and ﬂoor. Verdicts were written and re-written by hand till he had satisﬁed his own high personal standards. Apart from the respected judgments passed by Choor, one other occasion also deserves mention as it stands out for being a manifestation of the esteem with which he was perceived by his peers and superiors. This occasion is none other than the time that Choor presided over the memorable “Body in the Box” murder, which has accurately been described as “a catalyst in the abolition of the jury system” for criminal cases in Singapore. After judgment was passed in this case to sentence the suspected murderer to life imprisonment as punishment for a lower charge instead of the death penalty for conviction on murder, it came to Choor’s attention that there had been a fracas amongst members of the jury. There was a clear implication that, instead of basing its decision purely on the merits of the case, the decision was actually the result of the fracas that the majority of the jury had decided to sentence the suspect on a lower charge. In the words of Choor himself: “Lee Kuan Yew sent for me… I told him about the jury. He asked: “Well what do you think? Shall I abolish the jury?” I said if I tried the man alone, I would have convicted without any hesitation…Then he (Lee Kuan Yew) took steps. And he held an inquiry; questioned the jurors.” Jury trials were subsequently abolished in 1969. Personality wise, Choor has been described numerous times as being “strict”, “much feared” and one who “would brook no nonsense from defence counsel.” also spoke of how “he suffered no fools and thought little about berating those who wasted his time as idiots.” Even Queen’s Counsels were apparently not spared from this matter-of-fact way in which Choor ran his courtroom. Former Chief Justice Chan recalled how he was not “awed” by Queen’s Counsels and on one occasion “…(which became the talk of the legal circuit) reputedly told the Queen’s Counsel that there was nothing in the facts and the law in that case that the Queen’s Counsel could tell him which he did not already know.” Another more sombre moniker that Choor came to be known by was the ‘Hanging Judge’. This title came about as a result of his reputation for meting out capital sentences. A statement he made to The Straits Times in 1996 speaks of how this title did not weigh on his conscience at all when he reﬂected that he was “satisﬁed that [he had] made no mistake and that [he had] done [his] duty according to the law.” Daljeet recalls asking his father about these ‘sobriquets’ the media had bestowed upon him and whether he had any doubts about what he had done. He too heard a similar response from his father who assured him that he sleeps peacefully at night, content with the knowledge that he has applied diligently the law to the facts presented before him. These somewhat sensationalised titles were unfortunate as they belied the wonderful father and family man that Choor was. Daljeet describes him as a soft-hearted man with an unimpeachable character. After 47 years in public service, Choor retired in 1980 at the age of 69. This steadfast man, who without a doubt remains “one of Singapore’s most prominent Supreme Court judges”, had not always held such a lofty station in life. In his autobiography, Choor wrote how he “had no table or chair to do [his] homework. [He] did some reading under the street light.” In this context, his meteoric rise from his ﬁrst job as a solicitor’s clerk at the law ﬁrm, Mallal and Namazie, to becoming the “ﬁrst Indian in Colonial Malaya to be appointed magistrate” and then his subsequent appointment as a Supreme Court Judge speak of perseverance, a tenacity to succeed and an uncanny ability to seize opportunities and make the most of them. Few men have had a longer career marked with a record of diligent and distinguished service than Justice Choor Singh. In his 17 years on the Supreme Court Bench, his comprehensive knowledge of the criminal law and procedure and his wide experience in the administration of justice has been of immense help to my colleagues and me. In addition to his judicial responsibilities, Choor was actively involved in the Sikh community. He was particularly concerned that youth in an English speaking world might be susceptible to losing touch with Sikhism. This was the impetus for one of his most major contributions to Sikh society – the penning of a number of books on the Sikh faith. Well researched and encompassing a wide range of themes, some of the titles included Bhai Maharaj Singh: Saint-soldier of the Sikh Faith, Understanding Sikhism: The Gospel of the Gurus and Who is a Sikh and other Essays. 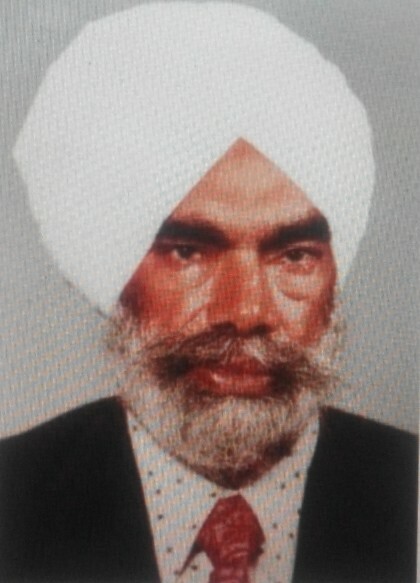 Although he only turned to writing after retirement, Choor had already been a fully participating and involved member of the local Sikh community from very early on. In fact, he is one of the founding members of Singapore Khalsa Association (SKA). He was part of a group of Sikh schoolboys from Rafﬂes Institution who in the mid1920s thought there was a gap that could to be ﬁlled. As is explained on the SKA website, the Sikh temples discharged and continue to discharge their role as places of worship and to some degree social functions as well. The establishment of SKA saw to it that there was a centre for sports for the community as well. An additional point to note is that SKA was one of the ﬁrst places, apart from the Sikh temples, to teach the Punjabi language. Choor did not want Punjabi youth to lose touch with their roots and fought very hard for Punjabi to be recognised as a second language. He also made a number of generous charitable contributions to related causes. He was also a great sportsman. He played hockey and cricket till he was 55 years old and he continued to golf till 86 years of age. In retirement, Choor continued to be active notably in a number of community service endeavours as well as within the Sikh community. His role in the community was cemented on 14 August 1994 when the community conferred on him the highest honour by inviting him to lay the foundation stone for the then new building for Khalsa Dharmak Sabha Temple. Choor passed away on 31 March 2009. He composed an epitaph for himself: “I have done my duty to the state, my community and faith. I leave now as ordained by my fate.” This pithy and characteristically pragmatic epitaph perhaps best encompassed the measure of this great man who made a lasting contribution to Singapore and the Sikh community.